Our new Side Dumper (SD) combines our proven side dumping technology with a new, ultralight and modular design that takes your productivity to new levels. Like the original SD, the new-generation SD wagon is equipped with a roof for sealed and secure transport of all types of bulk commodities, including sticky, dusty and hazardous materials. Depending on your loading technique, there are two design options available; the wagon can either be constructed with a roof suitable for loading by wheel loader or with a sliding roof optimised for shute loading. Thanks to its low tare weight, our new SD wagon offers the world’s highest productivity when it comes to roofed, side tipping wagons for heavy dry bulk. The new wagon is more than 20 percent lighter than its predecessor, and considerably lighter than most comparable wagons on the market. Through a new and revolutionary design concept, we have been able to remove the stabilising underframe and hinges from the SD wagon and make the new wagon ultralight. 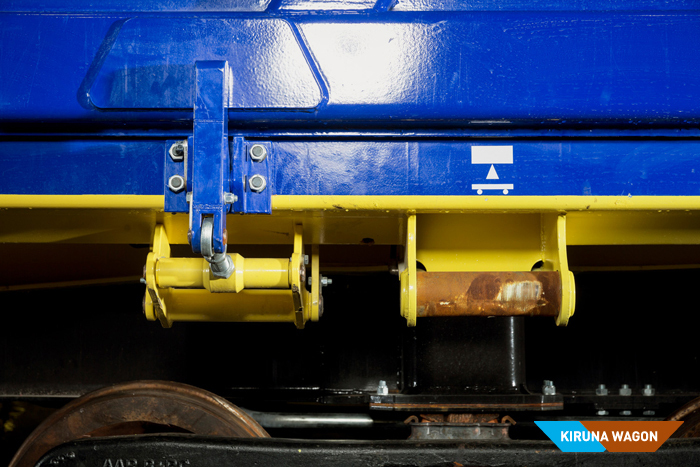 In the new SD system, the unloading station acts as counterhold during tipping and forms, together with the wagon’s pivot, the hinge which the load carrier is rotated around. With a low tare weight of only 21.2 tonnes, the new SD wagon can carry more payload on every trip. For our customers, this means major gains in productivity and important savings in energy and the environment. 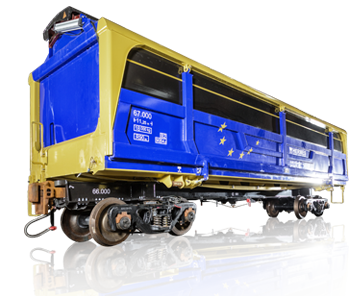 In a scenario where the annual transport volume is 1,000,000 tonnes, the new SD can save 1000 wagon loads per year when compared to a wagon that weighs 27 tonnes and operates on a 25 tonnes axle load railway, with a total wagon weight of 100 tonnes. 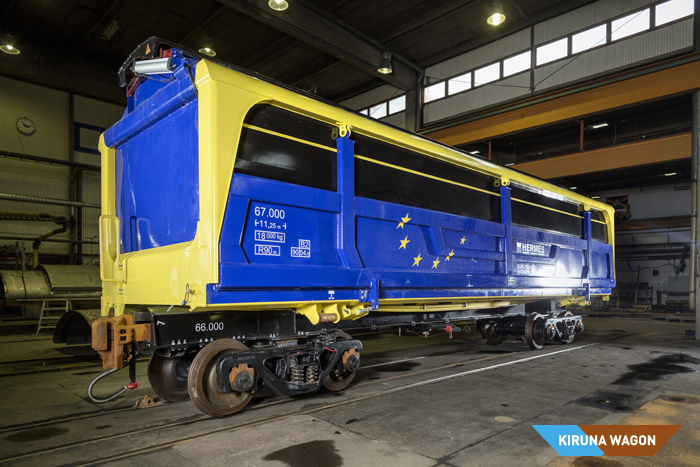 The SD system consists of an optimised combination of wagon and unloading solution, both of which are designed and manufactured by Kiruna Wagon. In the updated SD system, the robust and low-cost unloading station has been redesigned to allow for a simplified and considerably lighter wagon construction. While ingenious in its construction, the new unloading station is at the same time a very simple solution – all hydraulic components are of the standard type that is used for example in wheel loaders and trucks. For maximum discharge capacity, up to four unloading stations can be used simultaneously. This gives an unloading capacity of up to 15,200 tonnes per hour. Our new SD wagon forms part of our patented modular logistics system, in which a standardised chassis is used together with different, tailor made load carriers. The modular construction offers major production advantages, such as high accessibility and maintainability of individual load carriers and an increased availability of the entire logistics system. The load carriers are easily exchanged depending on your current transport and maintenance needs, and a capital-intensive chassis can remain in production while its load carrier is removed for servicing. 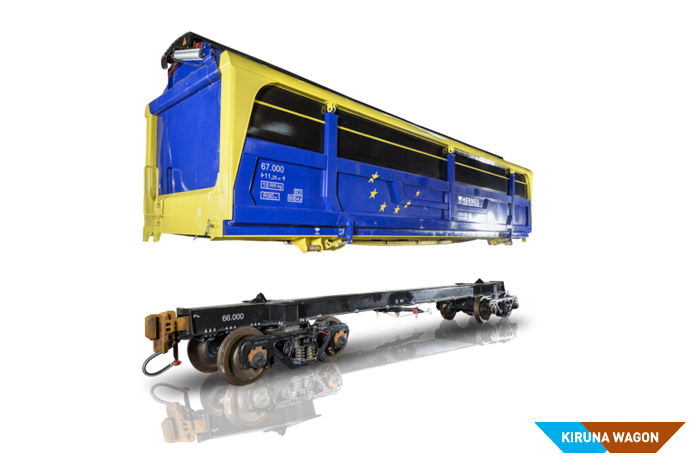 To facilitate efficient and flexible rail and intermodal operations, the SD load carrier can be easily transferred between rail chassis made for different track gauges and from trains to road trucks and ships. 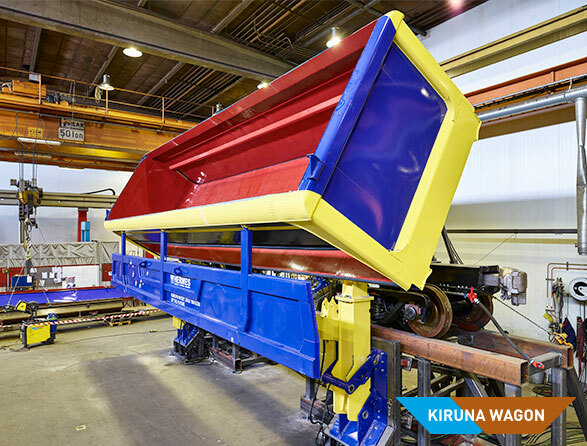 Kiruna Wagon’s new and ultralight Side Dumper is based on our proven SD technology that has been used by Boliden since 2009, for efficient and sealed transport of copper concentrate in northern Sweden’s subarctic climate.